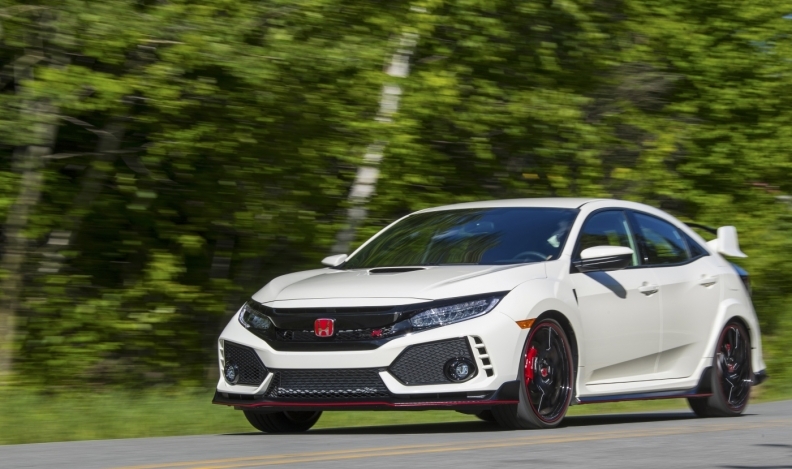 The all-new 2017 Honda Civic Type R will be sold in Canada, making it the first Type R-badged Honda to ever be sold here, the automaker said Wednesday. The performance variant of Canada’s best-selling car goes on sale July 14, 2017 in only one trim level with an MSRP of $42,485, destination fee included. The track-ready vehicle will be the most powerful production Honda ever sold in Canada. It will come equipped with a turbocharged 2.0-litre, four-cylinder, six-speed manual transmission with automatic rev-matching on downshifts. It will also have 306 horsepower at 6,500 rpm and make 295 lb.-ft. of torque from 2,500-4500 rpm. It will come with six high-performance tires on 20-inch black-finished aluminum wheels. Inside, the car has a seven-inch colour touch screen for its infotainment system that accommodates Android Auto and Apple CarPlay and a seven-inch colour screen instrument panel (showing boost gauge, lap timer, shift lights and G-meter). It will also have a navigation system and 542-watt stereo system.